“The Eighth Wonder of the World” is how Roger Federer is being described today by newspapers in the United Kingdom. The Times headline is more than fitting, as his Wimbledon win yesterday marked his eighth victory at the All England Club. It’s not simply the number that warrants the title, but how Federer, who hadn’t won a major in five years before entering 2017, has managed to return to form. 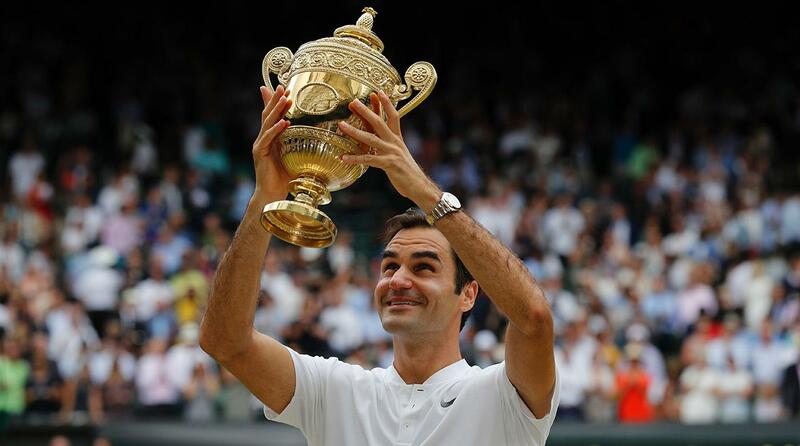 Now 35, Federer’s hoisting of the silver gilt cup brings his career Grand Slam titles to 19, the most of any player by four. Just last year, he announced a four-month break from professional tennis. Many assumed it was the beginning of the end for the game’s best all-time player. They were wrong. Now the Wimbledon champion once again, Federer is the favorite heading into the US Open, which begins late next month in Queens. The William Hill sportsbook in Nevada puts Roger up front at 5-2. He’s followed by his three rivals, Novak Djokovic, Andy Murray, and Rafael Nadal, who owns the second-most Grand Slam titles with 15, all at 4-1. Federer’s odds were short coming into Wimbledon, as he had won the Australian Open in January. 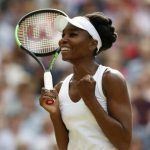 2017 hasn’t been too kind to Venus Williams. She lost to her younger sister Serena in the final of the Australian Open, and then bowed out of the French Open in the fourth round. While Serena became pregnant with her first child, tragedy struck Venus in June when her SUV collided with another vehicle that resulted in the death of a 78-year-old man. Initially found to be at fault, the investigation later revealed she hadn’t committed any traffic violation. Considering all the off-court emotions, her strong play at Wimbledon stunned many. She had lost just one set leading up to the final against Spain’s Garbine Muguruza. Even money at the sportsbooks heading into the championship match, 23-year-old Muguruza overpowered Venus, 14 years her senior. Muguruza defeated Williams in two sets. After a tightly contested 7-5 opener, she made quick work of the clinching set (6-0). The age of 30 is often considered the ceiling for professional tennis players. As the milestone is reached, the height of most players’ careers is long gone. Pete Sampras (14 majors), regarded as one of the best players of all time, won his final major at the age of 30. Roy Emerson won his 12th and final Grand Slam in 1967, also at the age of 30. Jimmy Connors’ last major came at 30, too. But Federer, of course, is no normal player, and he isn’t abiding by the age rules. He’s already a leading favorite in Las Vegas for the 2018 Wimbledon, where he’ll be a young 36 years of age. William Hill posts Federer at 5-2 to win the 2018 tournament.